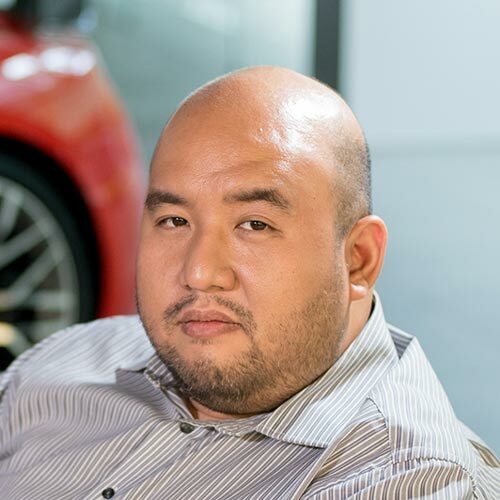 A few years ago, my Top Gear PH teammates and I were driving home from the introductory drive of the Mazda MX-5 at the Batangas Racing Circuit. To kill time we played a game: Create your perfect garage using only one brand. The fantasy garage had to consist of a daily driver, an off-roader, and a weekend toy. I was still heady from driving the new Miata with the top down on the track, under the expert tutelage of touring car champ Edwin Rodriguez. So I made my dream garage with the MX-5 as the centerpiece, the Mazda 3 hatchback as my daily, and the BT-50 pickup as the off-roader. 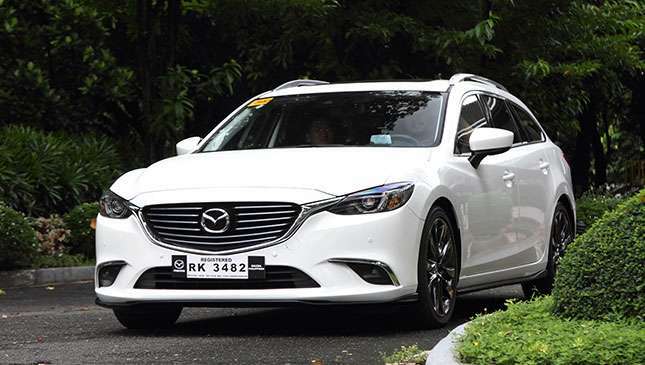 Yes, I didn’t choose the Mazda 6—sedan or wagon. I’ve always liked the car since it was introduced in 2013, but for me the 3 has always been the Goldilocks choice. And now a white Mazda 6 Sports Wagon is with me for a long-termer. Will it change my mind? Let’s see. The design is a no-brainer. If you like the current Kodo look, then there’s no need to convince you. Indeed, the 6 looks beautiful even in this Wagon guise. Look at it long enough and you might wonder if it looks better than its handsome sedan version. There is no angle wasted. 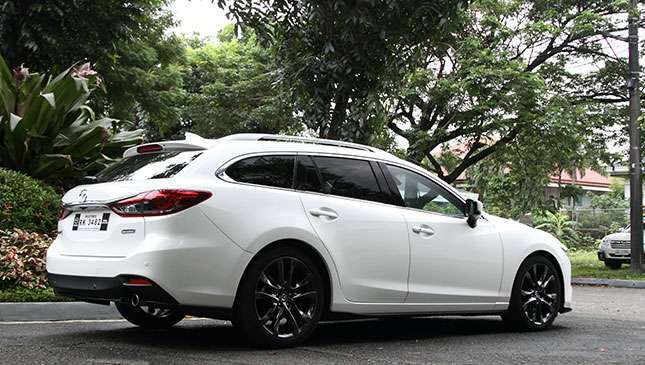 From the animal-inspired Kodo design face to the sleek flanks, the 6 Wagon soothes your retinas when you stare at it. 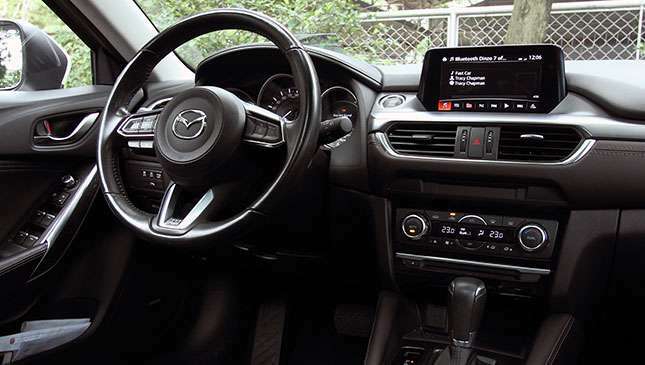 The cabin is typical Mazda, in the sense that if you’ve been in any modern Mazda interior everything feels intuitive. 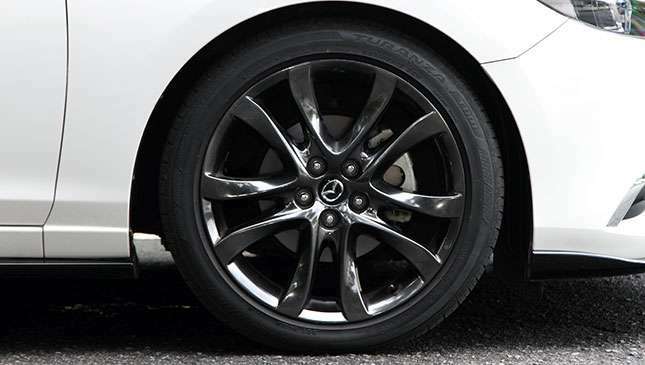 If this is your first Mazda, then everything will also feel intuitive before long. The leather seats are supportive and have that trademark snugness. The latter isn’t a complaint at all; one of my favorite features with Mazdas is the padded knee bolster that makes short and long drives so comfortable. 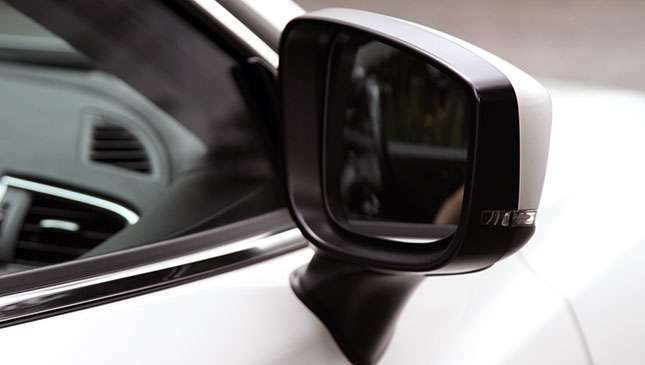 At the same time it’s easy to brace yourself in cornering maneuvers. Once you’re seated all controls are within easy reach, and access to the functions is quite natural. The steering wheel—something very important to me—is perfectly sized and feels good to hold. 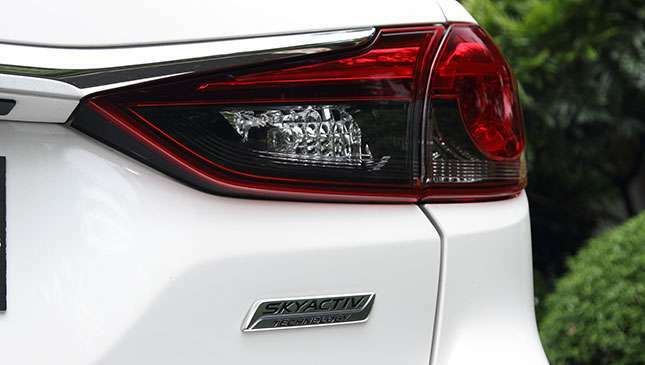 I recall that the previous-gen Mazda 6’s tiller felt a little small, which was a noticeable disconnect from the sporty nature of the model. 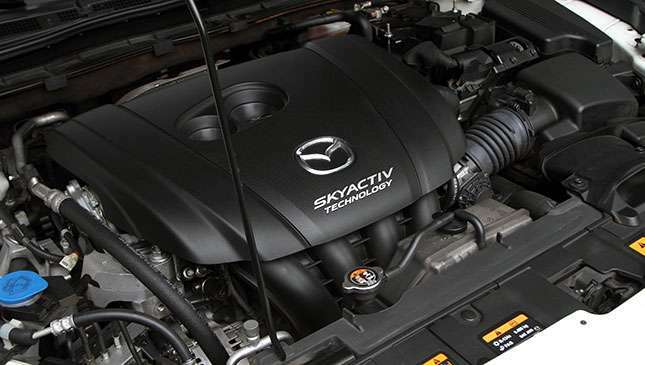 One complaint I have is with the Mazda Connect system, something I’ve spent a lot of time using over the years. It’s easy to understand, but I was never able to figure out how to turn it off. I’m a little OC about turning off a car with the systems still running (A/C, audio). I turn off the A/C but there’s no way to deactivate the audio system manually. The closest thing I can do is mute the music, then turn off the ignition. I’ve tried the more basic audio system in lower-spec models, and I prefer that. 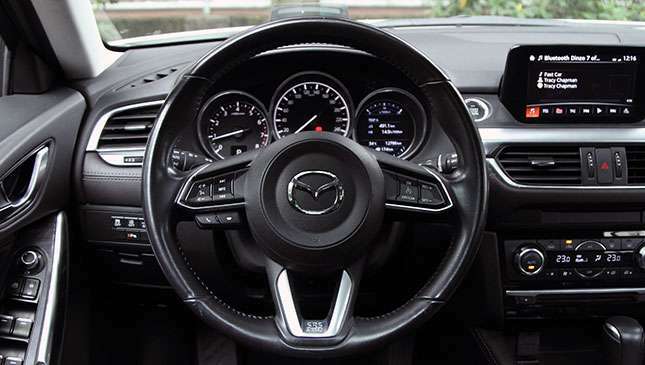 But other than that the Mazda 6 Sports Wagon cabin is a wonderful place. The Bose speakers will make your Spotify playlist sound CD-like. The A/C can be glacial if you want it to; it’s so cold that condensation on the windows easily occurs during humid days. I was also able to test the cargo space when I loaded a large piece of luggage in the back. 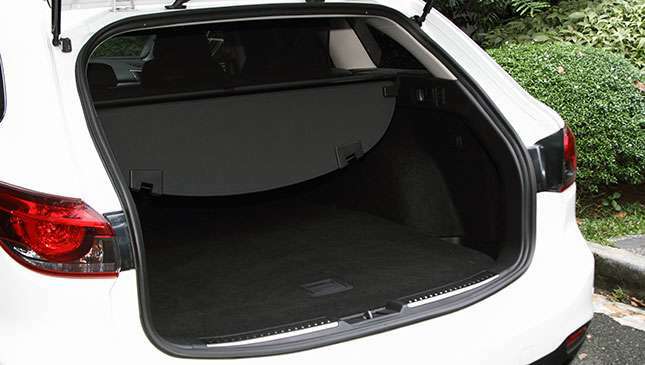 Other than factoring in the tall opening of the rear hatch, getting my large Samsonite in and out was a breeze. I’ve been wondering how the Wagon body affects the drive and handling compared to the sedan. I have to state that it’s been some time since I’ve driven the sedan variant, but there doesn’t seem to be any discernable difference. 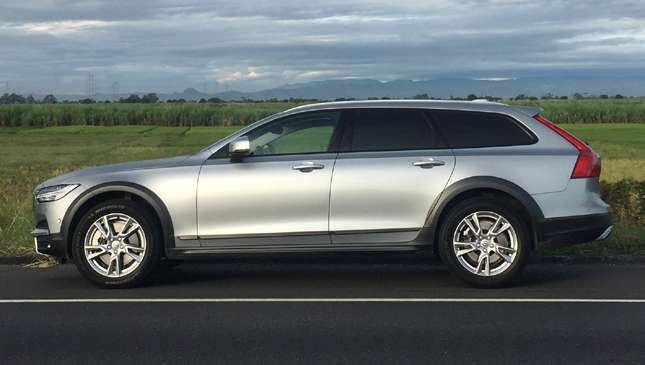 The 6 Wagon doesn’t hide its size and weight—there’s about 120kg difference between the 3 and the 6 in five-door bodies—but driving it over time feels so organic. You’ll surprise yourself at how confident you are squeezing in between jeepneys and taxis. You ‘know’ where the 6 Wagon is and you can maneuver it accordingly. I found the default driving mode a little sedate, so I keep it in Sport mode all the time. As a result my fuel economy averaged 7km/L in urban driving. Power arrives at around 2,000rpm, and when you hit the power band you’ll hear a V6-like howl from the engine bay as the midsize wagon surges forward. There may be only four cylinders in front, but if you didn’t know that you’ll wonder if there are two more. I think those with drivers will benefit from the default non-Sport mode, as it will mitigate any sudden moves Mang Jun might make. Owner-driven cars will keep it in Sport. It’s worth the fuel, trust us. I do worry a little about the 45-series 19in tires. 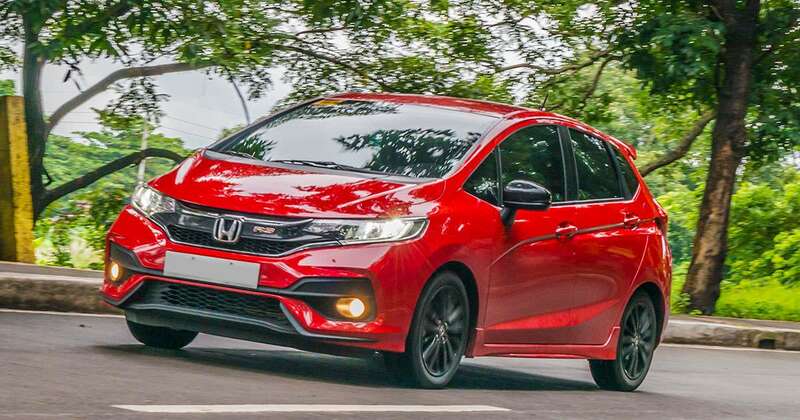 The low profile doesn’t affect ride comfort, and they’ll even protect the occupants from ruts and potholes, but I’m just afraid the thin rubber might not survive the nasty surprises Metro Manila roads have to offer. But that’s just me being overly cautious. I try to memorize the holes on my way to work and vice-versa, and closely follow another vehicle if it’s raining and there are puddles. Overall I’m happy with the 6 Sports Wagon. Driving it every day is an act of joy and comfort. 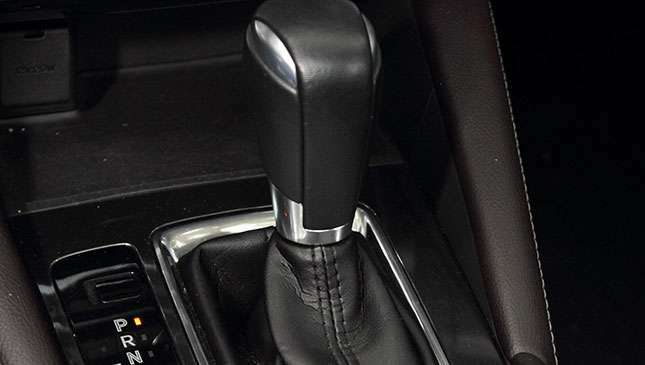 With the remote key fob in my pocket, I approach it every morning, press a button on the door handle to unlock the doors, slide in (hip point is on the low side), step on the brakes, and press the engine start button. 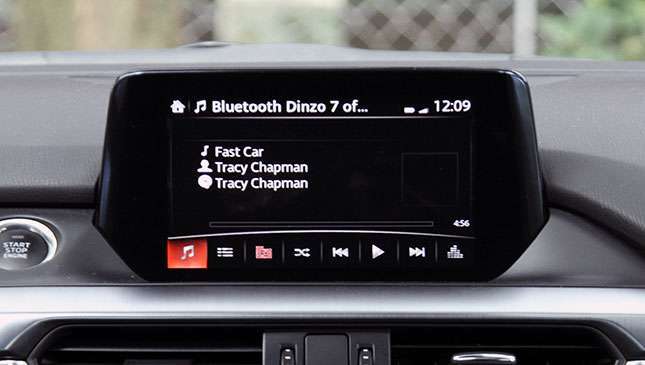 My smartphone automatically connects to the audio system, I toggle the electronic parking brake, shift into Drive, and I’m off. 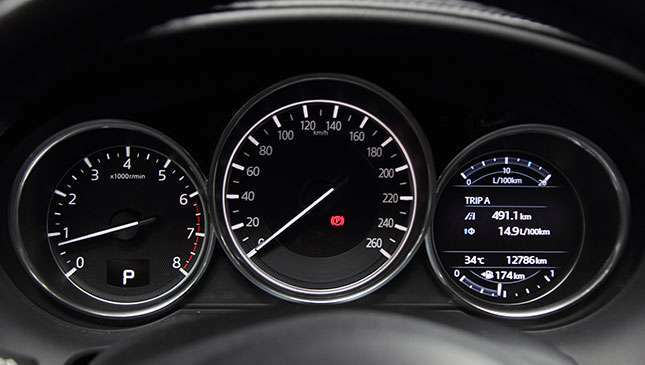 If it rains or I enter a tunnel, sensors activate the wipers or headlights automatically. If I stray too near the broken paint lines, a rumbling warning reminds me to go back in my lane and the steering wheel gives some resistance. Along with the engine dying when the car is at a stoplight, these functions can be disconcerting at first, but you get used to them. 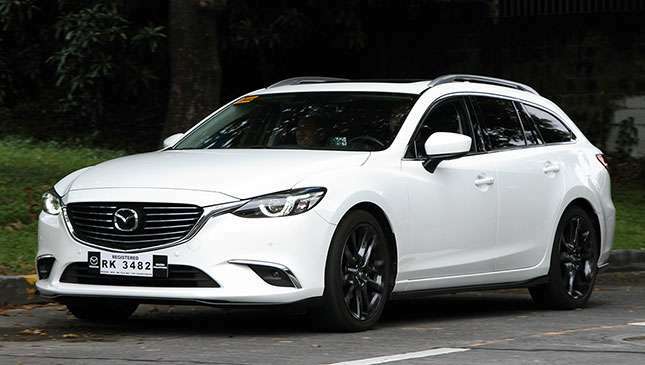 Will the 6 Sports Wagon replace the Mazda 3 hatchback in my dream garage? Honestly, I don’t know. But if I were to make my fantasy lineup come true, the 6 Wagon is something I’d definitely consider owning.